Stay on top of the latest kitchenware trends | Atelier du Chef - Deep Fryer Maintenance: Everything you Need to Know! Deep Fryer Maintenance: Everything you Need to Know! Whether you own a basic deep fryer or a new generation piece of equipment with integrated filtering and diagnostic functions, basic maintenance is necessary. Training your staff to follow these simple rules will guarantee your deep fryer will live a long and prosperous life. Only use manufacturer approved cleaning products. Avoid using metal spatulas, grill brushes or steel wool, they could damage the stainless steel and cause oil leaks. Use the tools provided by your manufacturer. Avoid moisture. Instead, use a dry cloth to clean any messes. 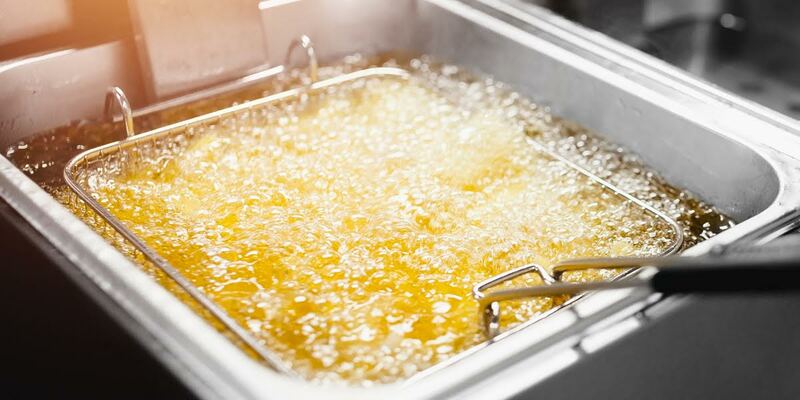 Avoid using soaps and degreasers when the fryer is in use, They can cause chemical reactions and alter the taste of food. How Often Should You Filter the Oil? How often you should filter your oil depends on the type, quantity, and frequency of the frying you do. Of course, the quality of your equipment also affects how often your oil should be filtered. Did you know heavily breaded foods release more particles into your oil than fries, for example? Carbonized particles and crumbs rapidly affect the quality of your oil. Removing these debris regularly is important. Use oil resistant gloves, an apron, and safety glasses to avoid injury. Remove any visible food particles to prevent them from settling on the bottom of your deep fryer. Properly filtering your oil and wiping down the sides of your fryer will maximize its efficiency. You can also ask your employees to gently clean the sensors to avoid any damage. This cooking appliance is a must in most commercial kitchens. To ensure its longevity, only use specifically manufactured parts for your particular piece of equipment. Baskets, filters, and other replacement parts must be of excellent quality and carefully selected. The following tips will help you prolong the life of your deep fryer. Have your deep fryer inspected at least once a year. Respect your fryer’s fill limit. Oil increases in volume when it is heated. Avoid hard to clean messes by placing baskets in designated areas. Be gentle with your baskets. Hitting them to remove excess oil can damage them. Keep your oil longer by reducing the temperature when not in use. Avoid contaminating your oil with dust and other particles by covering it when not in use. Know how to recognize the signs of a deep fryer in need of maintenance. If the oil burns, it is probably too hot. If it produces bubbles or foam on the surface, there is too much moisture. Contaminated oil will become coppery, and inconsistent cooking times can indicate a problem with the thermometer. Listen for sounds when filtering your oil; this could mean you have air in your conduits. Last but not least, your burners might be clogged if you hear an explosion sound. Obviously, proceed with care! Avoiding disasters can be achieved through proper maintenance and employee awareness. If you follow your manufacturer’s instructions, your equipment should last almost a lifetime!